We've been printing fancy letterpress business cards for Norfolk creatives Grow for a while now (check it out). Recently they asked us to print simple blind-pressed, edge painted notes along with custom printed and converted envelopes. 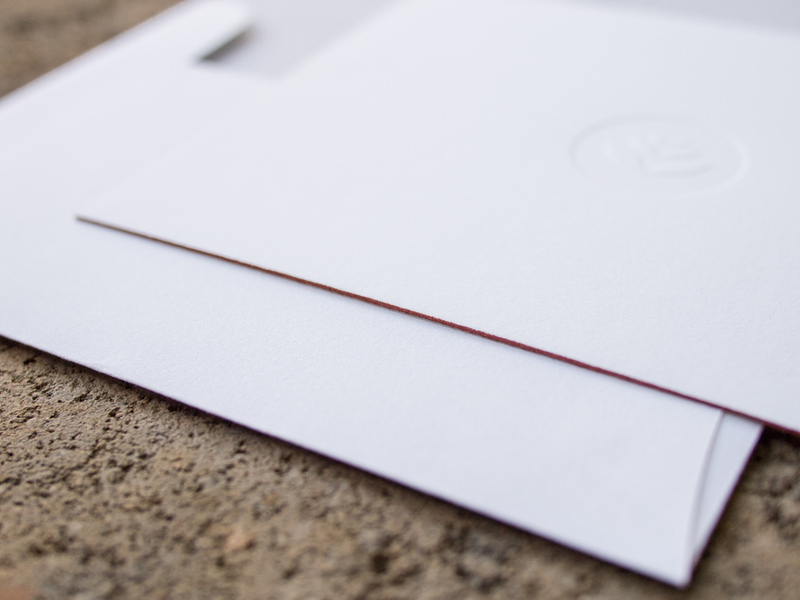 To get the pattern on the inside of the envelope (called a "tint") we first offset printed flat sheets with a light cool gray, then folded and glued the envelopes. 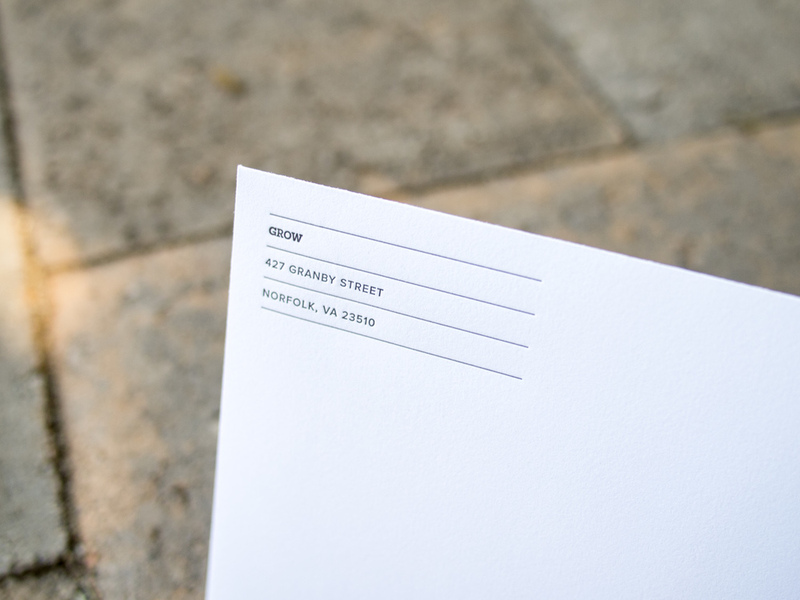 Finally, we added the letterpress return address and logo. Posted in business stationery and tagged with note cards, blind, envelope tint, custom conversion, edge painting, savoy. August 27, 2015 by Travis Friedrich.